Domestic & Commercial Junk Removal South East London SE | Quality Property Care Ltd.
We are also effective at removing organic and garden waste beginning with grass trimmings and cuttings, turf and soil, hedges and hedge trimmings, garden weeds, plastic liners or bags, flowers and plants, small branches, leaves, twigs, litter, animal bedding or straw, Christmas decorations and trees, plant pots and a lot more. There are special collection points where we will put these materials, however, there are special charges that you might need to cover up. Those times, when you keep holding and stop throwing old stuff, come to every of us. Whether we don`t have enough time or the resources to remove the junk, it gets more and more. And one day we wake up in a house full of rubbish. Or we end up to come in repulsive and unpleasant working environment. No need to move or dismantle anything! 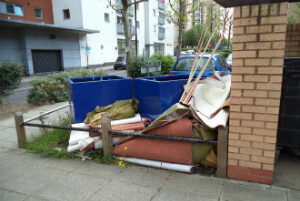 The experienced technicians from Quality Property Care Ltd. will dismantle all the big junk and furniture and pack the pieces, by themselves. If you have more doubts or details you would like to get, speak to us and we will arrange the professional junk removal service in a most hassle-free for you time and way. The rubbish will not disappear by itself, but will only become more and more! So deal with it once and for all without even sweating. 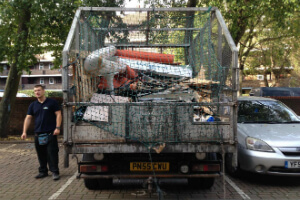 Make a booking for junk removal services in South East London SE now! Use the online booking form and complete your booking in no time. Call our helpful agents on 020 3746 4287 phone number right now! We will re-establish the order and the cleanliness in your home as soon as possible and at fraction of the price!